This is a story of a great man’s truthfulness in spite of a lot of suffering – how far one could go to keep his words. The soul of India remembered this King for ages. 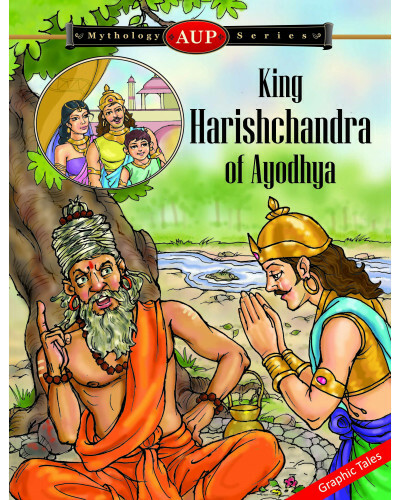 The honest and noble king Harishchandra who lived in the Treta Yuga was popular among his subjects. He lived peacefully with his wife Shaivya and son Rohitashva in his kingdom Ayodhya. But suddenly he fell prey to a terrible misfortune. The truthful King had to give away his kingdom and to sell his family to fulfil a promise he had made to the sage Vishwamitra. Mahatma Gandhi was deeply influenced by the virtues of telling the truth when he watched the play of King Harishchandra in his childhood days. This book is a part of the AUP Mythology Series. 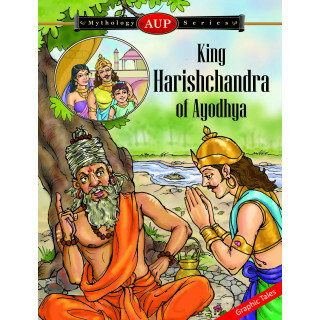 The story of legendary King Harishchandra is adapted from the Markandeya Purana. 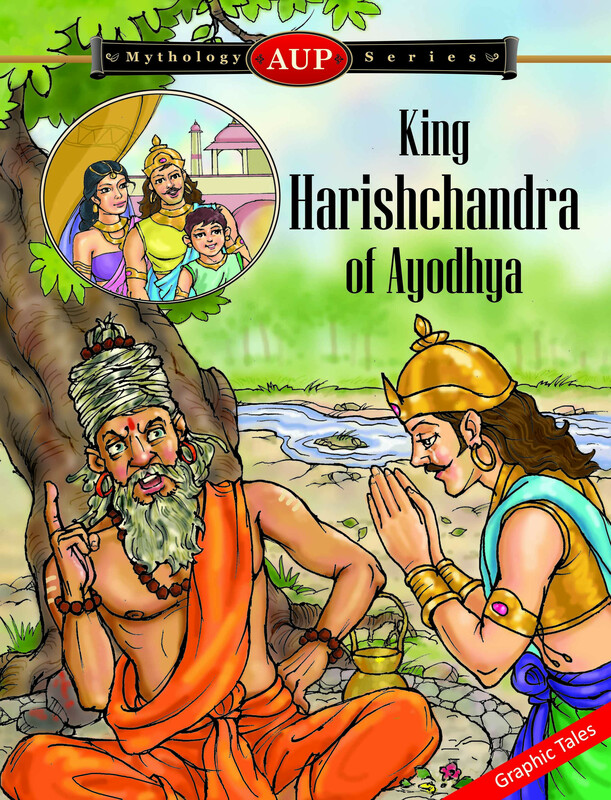 The honest and noble king Harishchandra who lived in the Treta Yuga was popular among his subjects. He lived peacefully with his wife Shaivya and son Rohitashva in his kingdom Ayodhya. But suddenly he fell prey to a terrible misfortune. The truthful King had to give away his kingdom and to sell his family to fulfil a promise he had made to the sage Vishwamitra. He even had to agree to be a slave of a man who dealt with disposal of corpses in a cremation place in Kashi. What happened then? How could he regain his kingdom and satisfy his subjects again? This is a story of a great man’s truthfulness in spite of a lot of suffering – how far one could go to keep his words. The soul of India remembered this King for ages. Mahatma Gandhi was deeply influenced by the virtues of telling the truth when he watched the play of King Harishchandra in his childhood days.